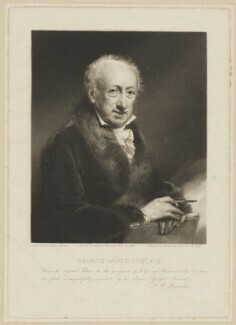 George Dance trained and practised as an architect, succeeding his father to the office of Architect and Surveyor to the Corporation of London. 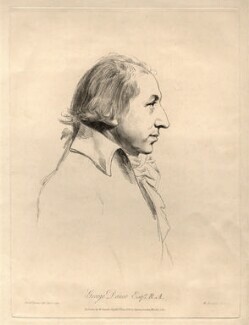 His most important works included the rebuilding of Newgate prison, the designs for St Luke's Hospital and the front of Guildhall. 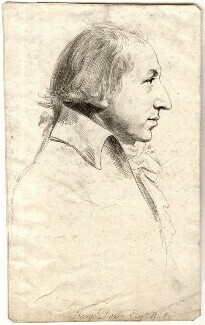 He was one of the founder members of the Royal Academy in 1768 and Professor of Architecture between 1798-1805. 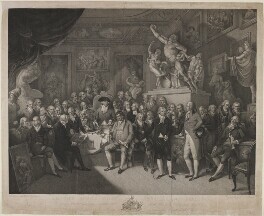 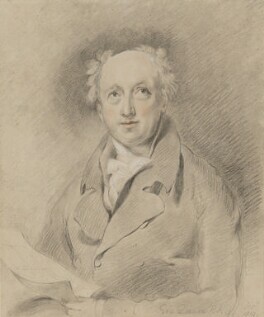 Dance is probably best known for the series of over 200 drawings of his friends and contemporaries which he 'sketched from life' between 1793 and 1810. 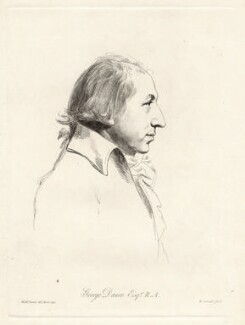 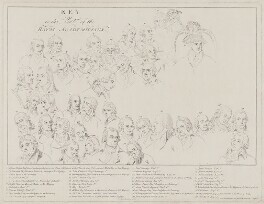 The majority of these drawings are half-length profiles to the left, described by Joseph Farington in his diaries as exhibiting a 'remarkable likeness' to the sitter.